At the Techonomy conference in Tuscon, Arizona, Microsoft's Chief Research and Strategy Officer, Craig Mundie, dismissed Apple's new voice recognition technology as something Microsoft has had for over a year in Windows Phone 7. In an interview with Forbes discussing user interfaces, Craig Mundie was asked about Apple's personal voice assistant, Siri. Mundie replied, "as a technological capability, you could argue that Microsoft has had a similar capability in Windows Phones for more than a year, since Windows Phone 7 was introduced". Mundie went on to point out that Tellme, the eventual fruit of an acquisition in 2007, does what Siri does. Windows Phone 7 and even Xbox users are most likely already familiar with the product. You can ask it for directions, search the web through Bing or send texts while using natural language. 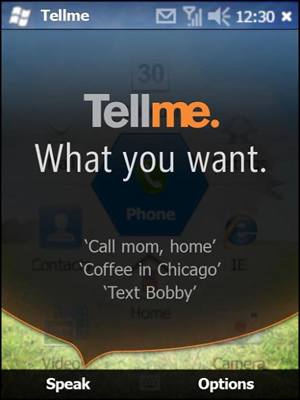 In fact, Tellme does things Siri does not as of yet, such as transcribing voicemails to text. However, the Microsoft official conceded the company had a few things to learn about marketing. Craig singled out the infatuation people have with Apple is good marketing in itself. Mundie suggested, "maybe we need to pick a feature and hammer on it harder," while explaining that Apple had little choice but to push Siri hard. His reasoning is that many people were disappointed with the iPhone 4S. The disappointment stemmed from the lack of substantial changes to separate it from the iPhone 4. As a result, Apple had to focus on the one thing that would turn eyeballs: Siri. Of course, voice recognition itself is actually far from new but Apple would certainly suggest that they do it better, leveraging decade-old technology from DARPA. You can watch the short interview below where Forbes' Eric Savitz and Microsoft's Craig Mundie talk mostly about Kinect and voice activation.